London -- the most incredible city I have ever seen, and, of course, one of the oldest and most historic cities in the world. I was lucky enough to be sent to London by BP (British Petroleum Ltd.) to attend a meeting. I couldn't travel so far just for one meeting, so while I was there I took a few days' holiday. I had three days to explore this city. An impossible task? You decide. 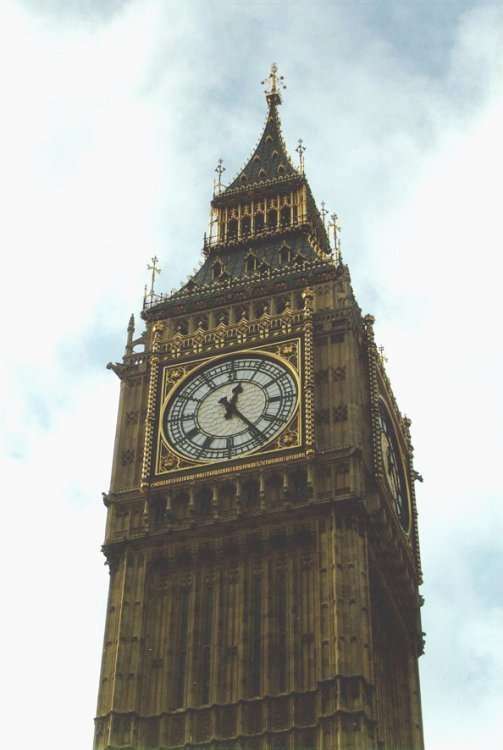 Full-size picture (28 kB) St. Stephen's tower -- my first London landmark and home to the world's most famous bell, Big Ben. Full-size picture (48 kB) My first glimpse of Buckingham Palace. Looking west from the bridge over St. James' lake on a beautiful sunny autumn day, this is my favourite view of London. 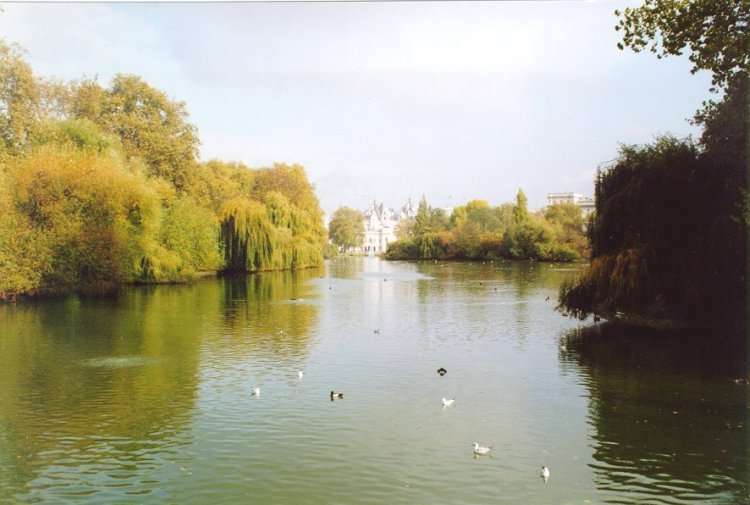 Full-size picture (34 kB) Looking east from the same bridge, toward Duck Island and the Admiralty building. My second favourite view of London. 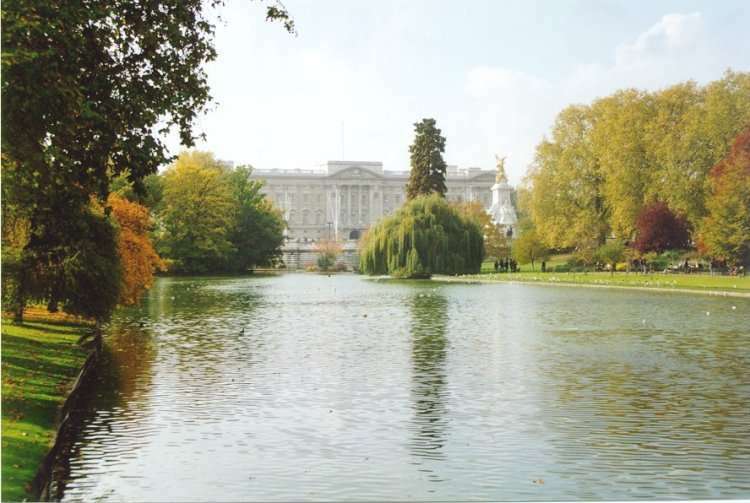 Full-size picture (41 kB) Buckingham Palace, my second London landmark. Myself and several hundred tourists. Look Mum, it's really me! 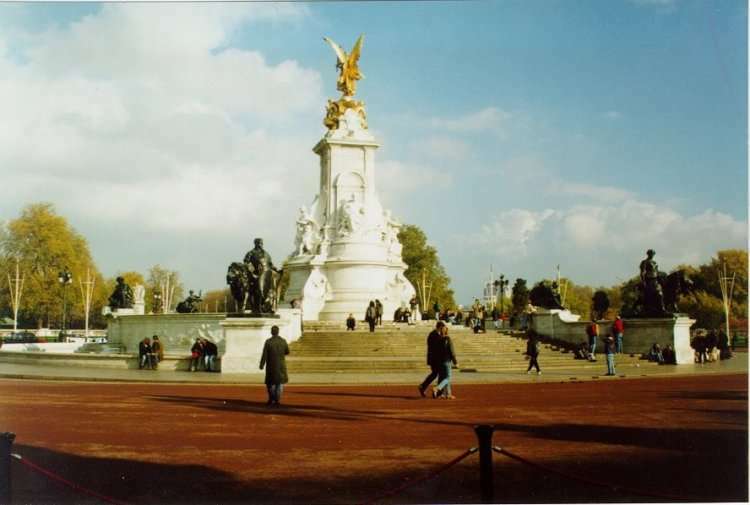 Full-size picture (32 kB) The Queen Victoria Memorial in front of the palace. 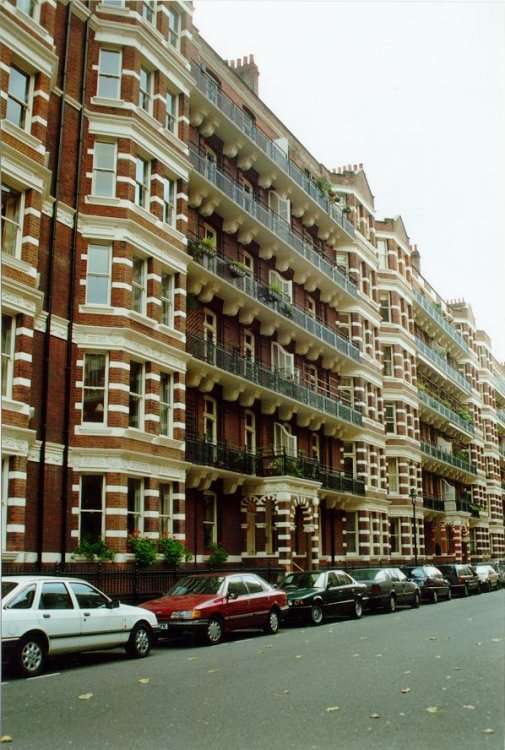 Full-size picture (56 kB) Flats in Thirleby Street, Westminster. London seems to be made up almost entirely of low-rise sprawl. Apparently Prince Charles wouldn't have it any other way. 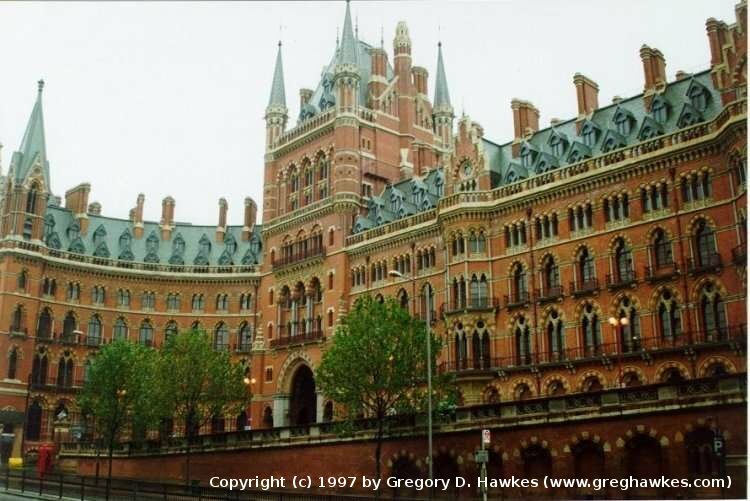 Full-size picture (52 kB) St. Pancras railway station. "We want a railway station", they said. "We need a Victorian Gothic fantasy", heard the architect. What is it about this city that inspires such designs as this? 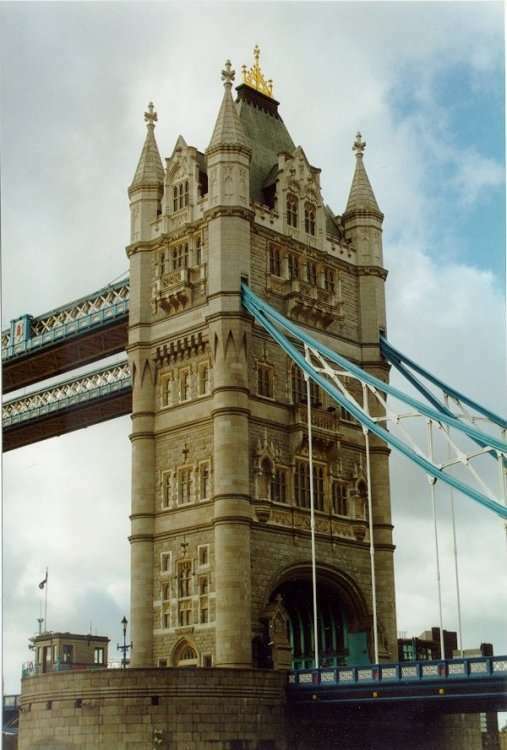 Full-size picture (42 kB) Tower Bridge. I went for a quick look on the way to the Tower of London, and stayed for four hours. I only left because I was on a tight schedule. In 1894 this was cutting-edge technology, and even today it's a superb piece of engineering. 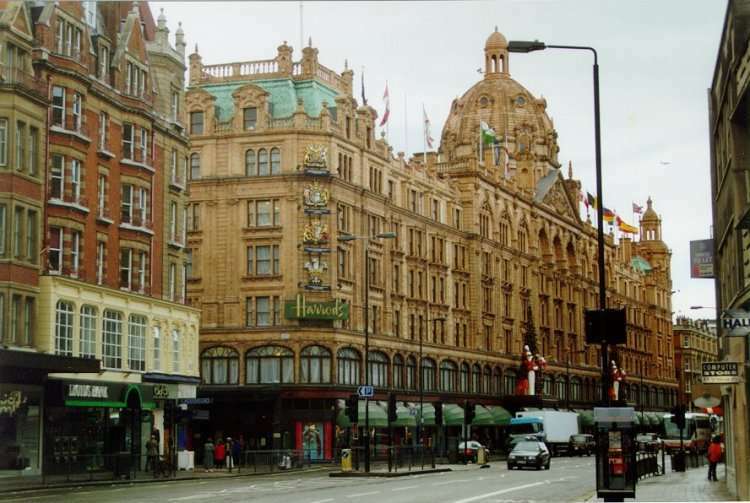 Full-size picture (56 kB) Harrods of Knightsbridge. By appointment. 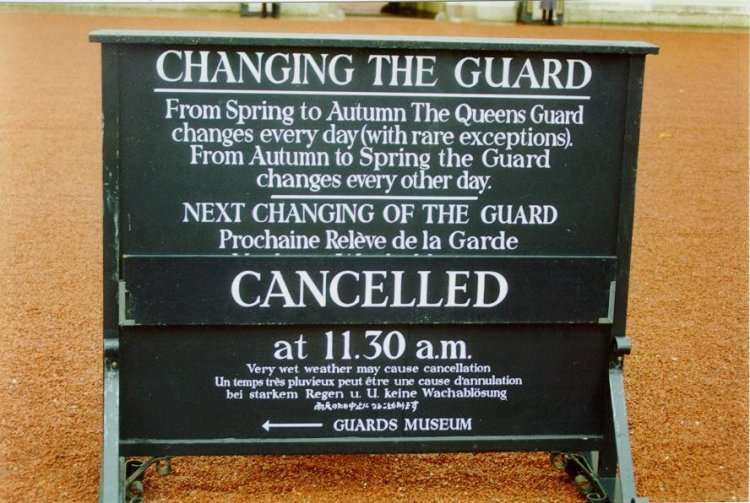 Full-size picture (55 kB) I wanted to see the changing of the guard at Buckingham Palace. Unfortunately it was cancelled, to the dismay of about 500 spectators. Full-size picture (40 kB) ...I don't believe it! 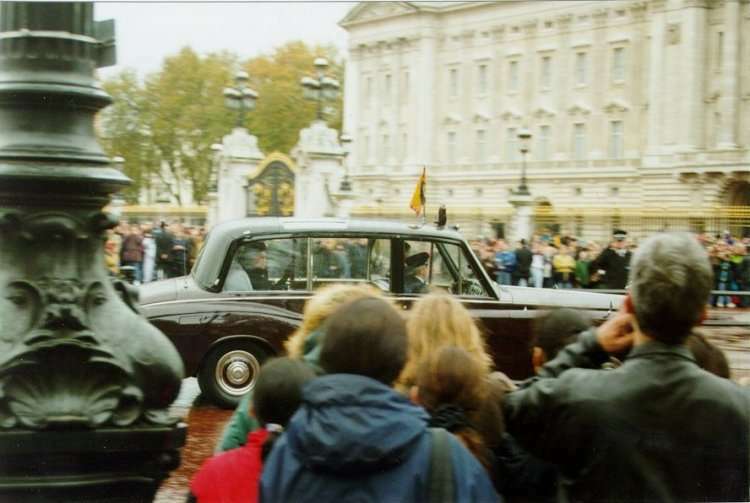 Queen Elizabeth II, waving at me (at least, I think it was me). 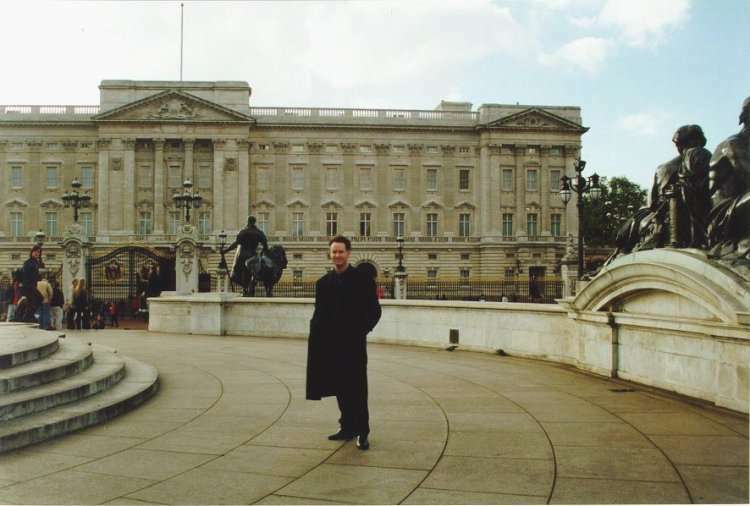 Some of my friends lived in London for months, years, without seeing the Queen. 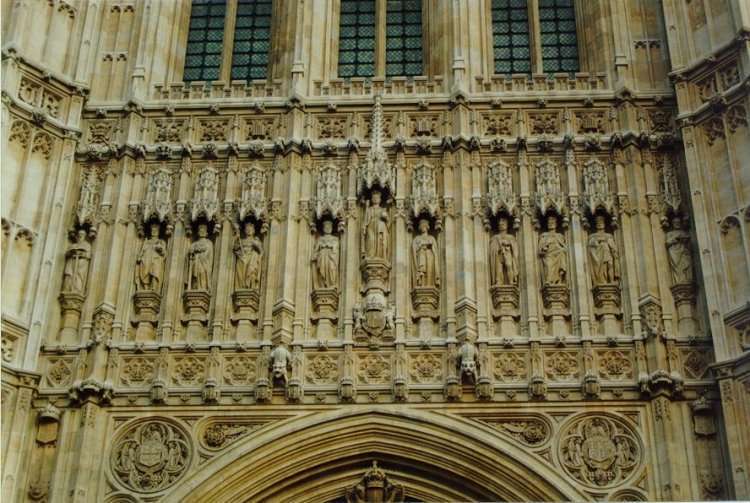 Full-size picture (66 kB) Detail of Victoria Tower, Houses of Parliament. 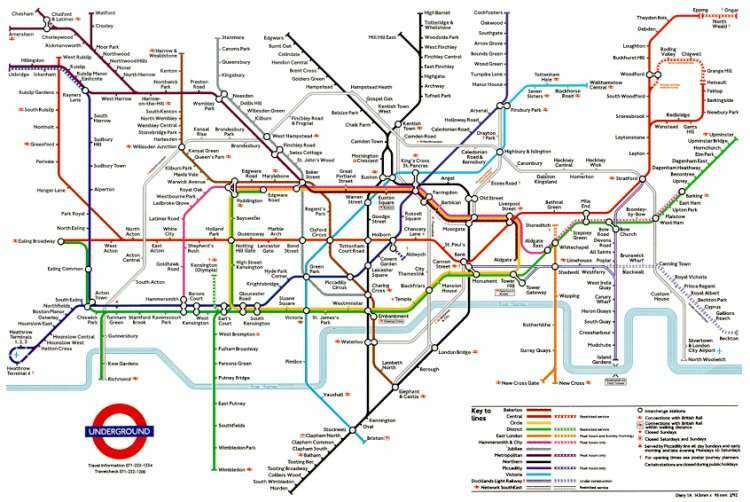 Full-size picture (61 kB) The map of London's Underground railway is clear, concise, easy to use, instantly recognisable, and a example of classic design. I visited many more of London's famous buildings, including Kensington Science Museum, Tower of London, Westminster Abbey, Westminster Cathedral, St. Paul's Cathedral, the Houses of Parliament, Paddington Station, King's Cross Station, Victoria Station, spent hours on the Underground, 221b Baker Street (where Sherlock Holmes lived), Regent Street, Oxford Street, Saville Row, Hyde Park Corner, saw buskers in Leicester Square, Nelson's Column in Trafalgar Square, and watched the sun set while sitting by the Thames.